We were thrilled to have thousands of people join us and California State Parks to see Sutter’s Fort in a new light when renowned Swiss light artist, Gerry Hofstetter, illuminated Sutter’s Fort as part of his multi-year, 50 state tour. Sutter’s Fort SHP is the only historic landmark in California to be included as part of this tour. 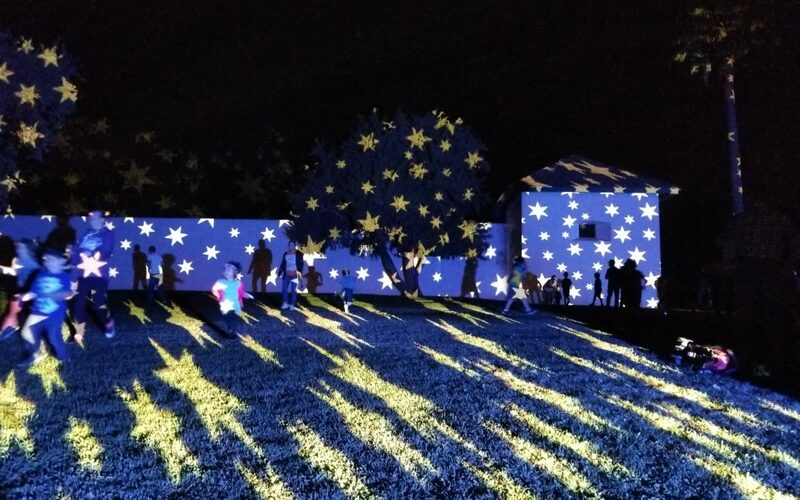 The illumination was a beautiful public art event that truly brought the community together. Afterwards, Mr. Hofstetter and his crew joined us for a small Artist Reception inside Sutter’s Fort, where he showed us how the projections work and talked to us about why he selected Sutter’s Fort.